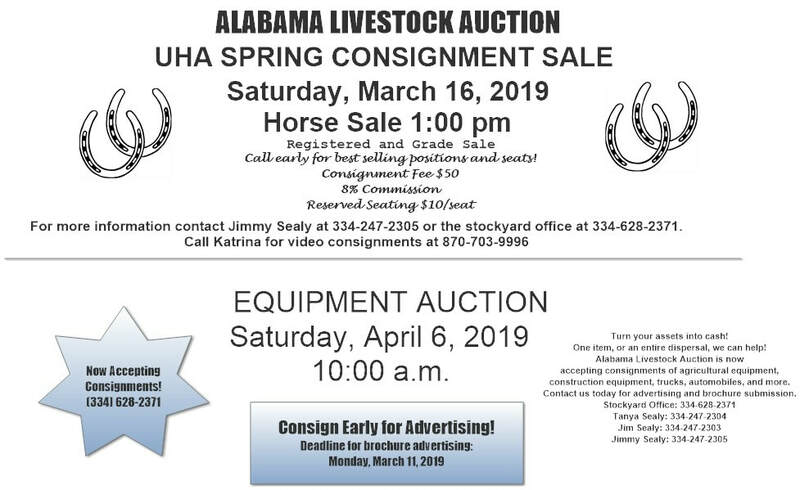 The Alabama Livestock Auction has long been a family owned and operated business. The business was purchased by Jimmy and Brenda Sealy in 1991 and has undergone many renovations and updates to enhance the ability of the business to more effectively meet the needs of the buyers and sellers in the livestock industry. Held in April and October on the third Saturday of the month. WE WILL NO LONGER HAVE A TACK SALE. ​VENDORS WILL BE SET UP OUTSIDE. Held annually every Spring. Outside consignments are accepted!